Our design team worked closely with the developer and contractor to provide incubator office space for small co-working companies in this building, while adhering to a limited budget. The design concept championed by the developer is a spacious open environment with a mix of working areas and comfortable seating. Ceiling fixtures provide the right balance of light for desk and computer functions. 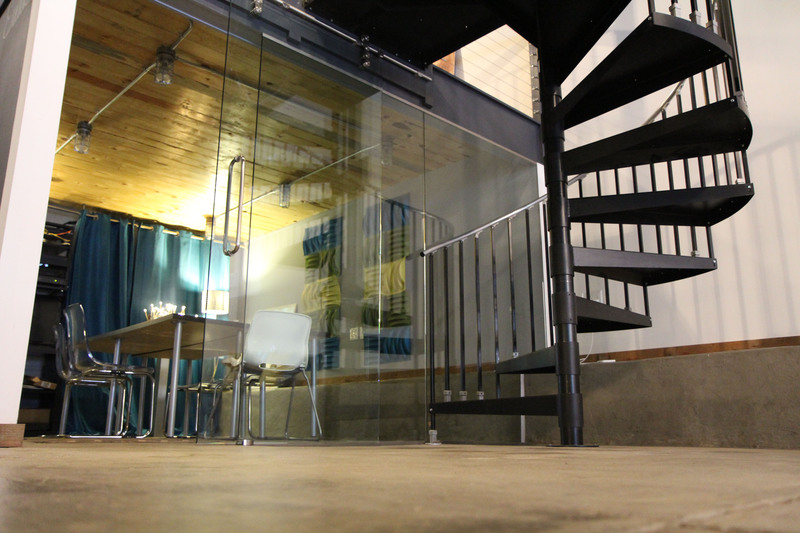 Cabled railing on the stairs allows an unobstructed view of the main floor area that contributes to the desired effect of having a “community of businesses” within one area. Because the building was previously used as a restaurant, parking already existed on the south side. 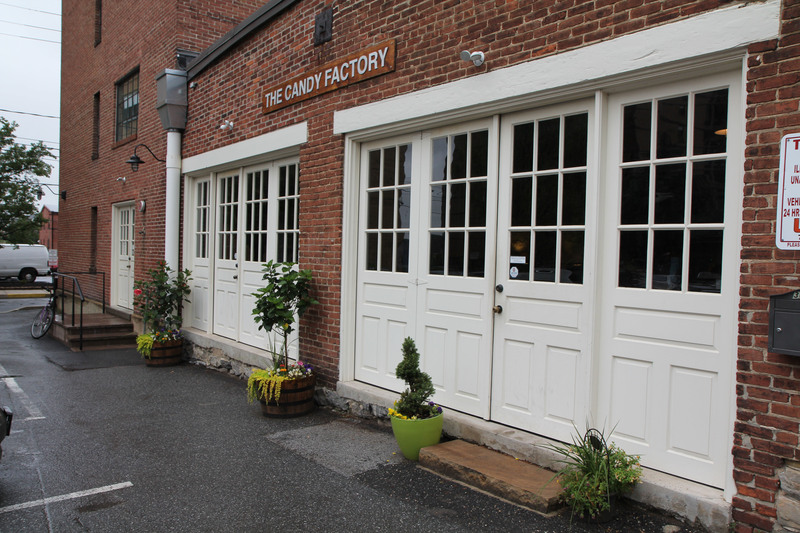 We used the original carriage doors for the main entrance. Our Architects created design plans to get approval from city building code officials to convert folding wood and glass panels into fixed-place panels in the doors while maintaining code compliance. Interior glass walls create a conference room that provides sound privacy while still being part of the common area. To stay within budget, warehouse type finishes were used throughout the open space, such as painting the exposed brick walls (seen in the first photo), using polished concrete floors, and exposing the mechanical and electrical systems as part of the interior design. 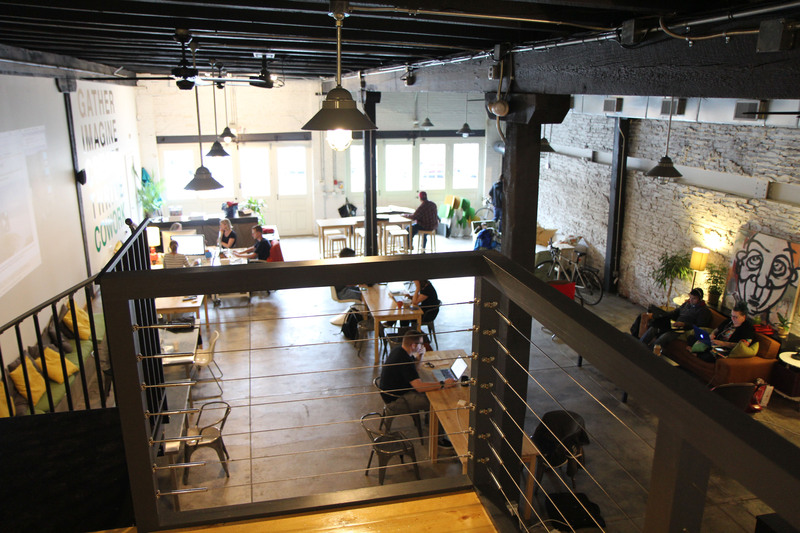 The second floor shared co-working area includes a mix of private work spaces, larger meeting/conference areas, interior walls for an enclosed private conference room, and a mix of track lighting and drop fixtures. 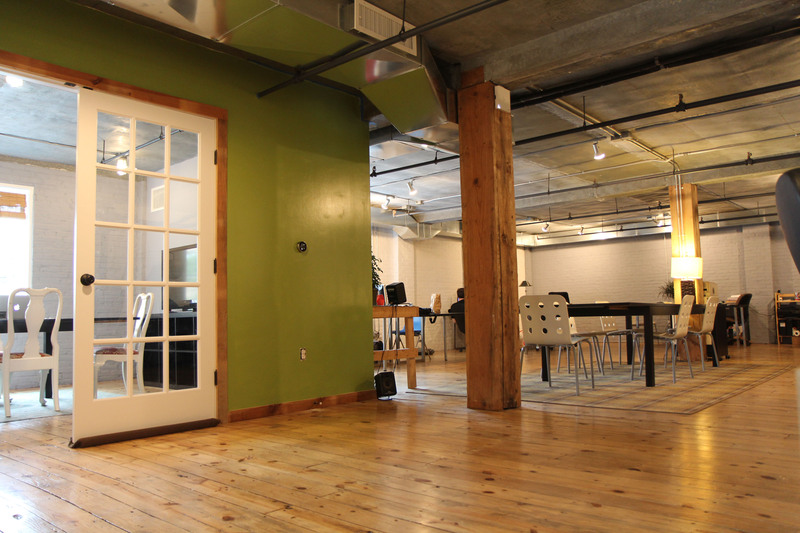 To keep costs low, the existing floors and columns were refinished and recycled wood trim was used to create a warm, yet urban, environment. 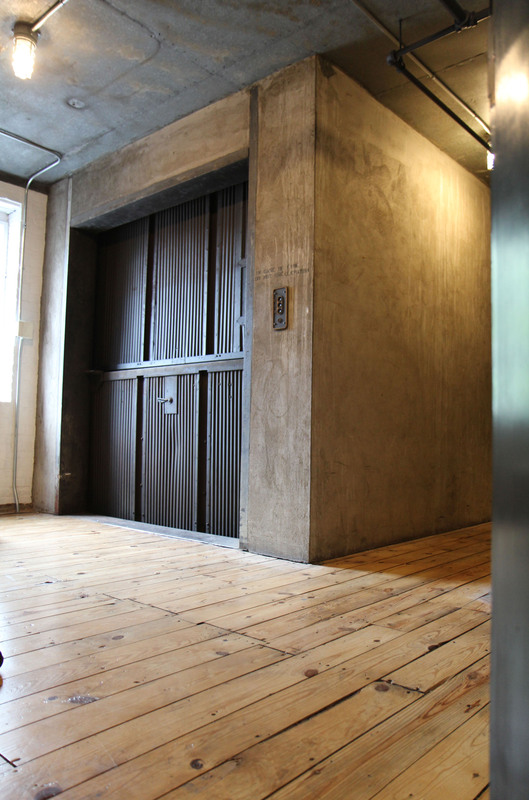 The original elevator is refurbished and maintained in code-compliant working order to make it easy for tenants to move furniture and supplies within the two-story building, and provide handicap access to the second floor.